Note: This should work for other browsers as well, but we’ve only tested it with Chrome. 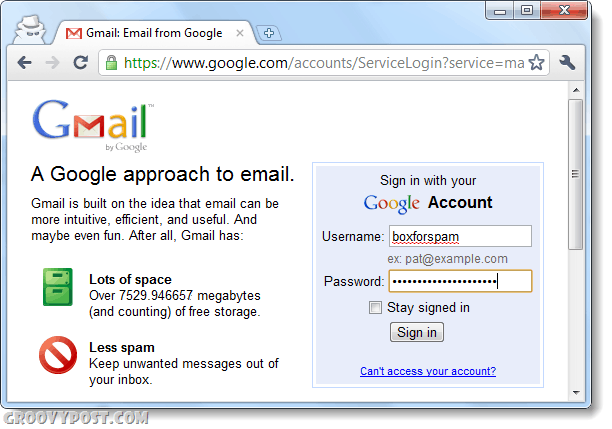 Open Chrome as usual and log in to the site you’d like to use multiple accounts simultaneously on. 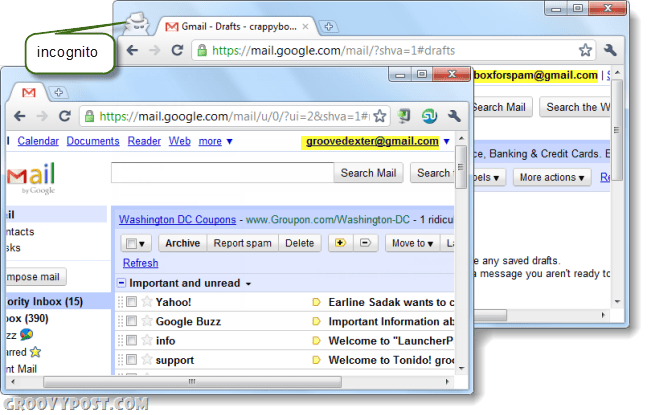 As an example in this How-To, I’ll be using Gmail. 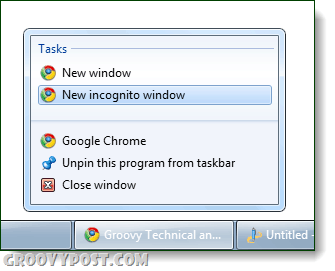 Open up a new Chrome incognito window. 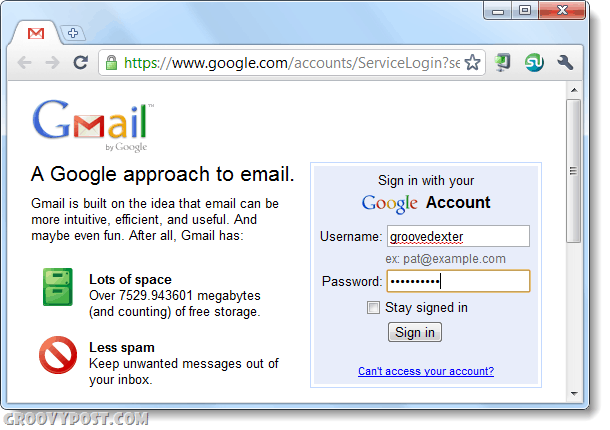 Now in the new incognito window you should be able to sign in to an entirely different account on the same site, as shown in the Gmail screenshot below. Now you can be logged into two different accounts at the same time for nearly any web service. Note that this will only work for up to two accounts, but clearing account data and logging into a different one under incognito is as simple as closing the incognito window and reopening it.